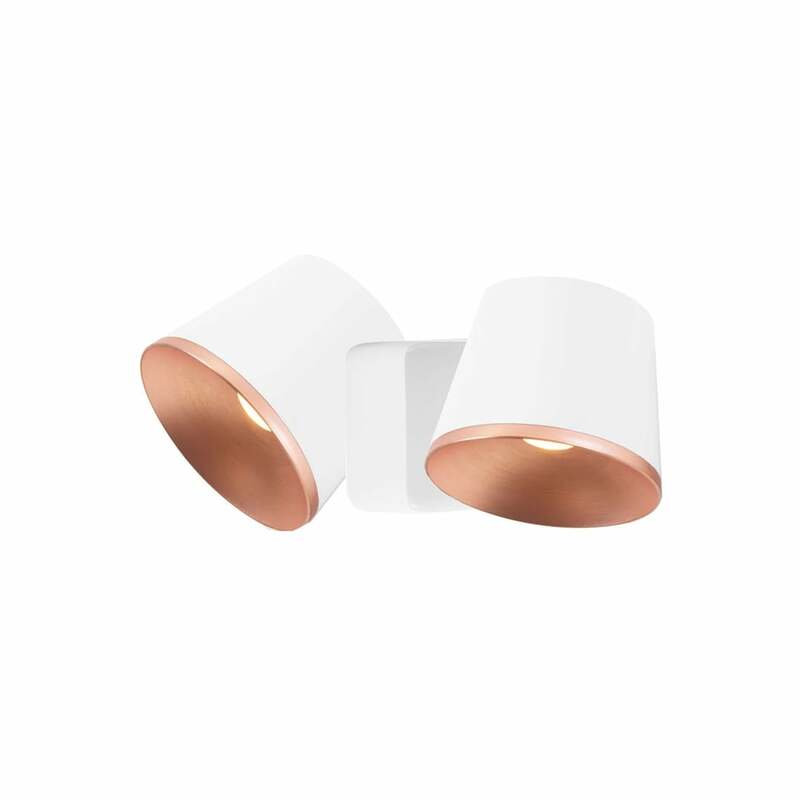 A contemporary design double wall light in a matte white finish with a copper inner. The light is LED lit making it very low energy using only 14 watts in total but providing around 1100 lumens or the equivalent of about 110 standard watts. Perfect for lighting in a home or hotel bedroom. A modern and minimalist style.